The purpose of this study was to investigate the impact of participation in a research mentorship team (RMT) on early childhood teachers' professional identities. The participants were seven early childhood teachers engaged in preservice teacher supervision at a university-affiliated child care center who volunteered to be members of the RMT facilitated by two teacher educators. This process involved informal monthly meetings and activities over the course of 2 years intended to engage teachers more directly and intentionally in inquiry. The teachers' perspectives regarding the benefits and the challenges they faced in the RMT were explored. 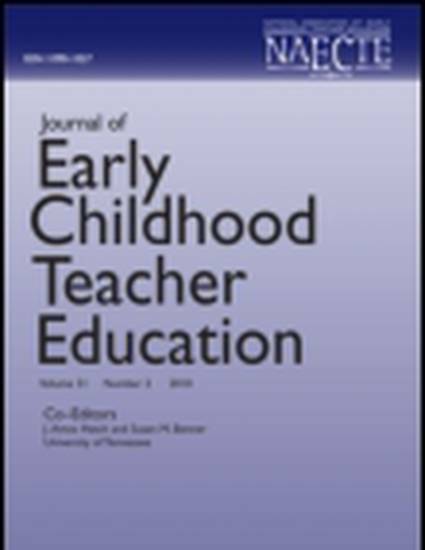 The findings of this study, derived from interviews, meeting transcripts, and supporting documents, offer insight into: (1) early childhood teachers' changing paradigms regarding the research process, (2) the role of participation in research on teachers' engagement in the intellectual/theoretical elements of teaching, and (3) the impact of changing teacher identities on the culture of an early childhood center. Nimmo, J. & Park, S. (2009). Engaging early childhood teachers in the thinking and practice of inquiry: Collaborative research mentorship as a tool for shifting teacher identity. Journal of Early Childhood Teacher Education. 30 (2): 93-104.